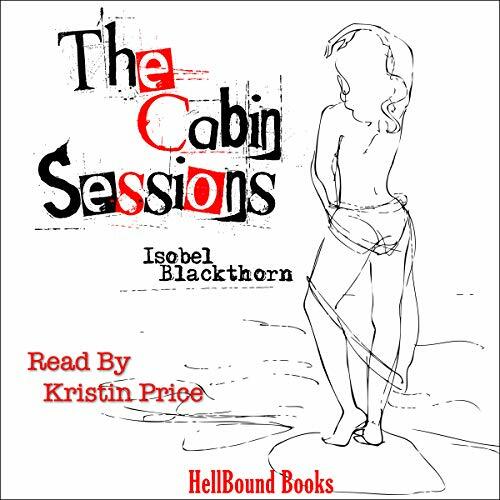 The Cabin Sessions is a confronting, hard-hitting, dark psychological thriller told with acid wit. Themes of abuse are explored through minds distorted by fear and corrupted by hatred and delusion; this is a tale in which redemption is gained in unexpected ways. It's Christmas Eve when hapless musician Adam Banks stands on the bridge over the river that cleaves the isolated village of Burton. A storm is rolling into the narrow mountain pass. He thinks of turning back. Instead, he resolves to fulfill his obligation to perform the guest spot at The Cabin Sessions. He should be looking forward to it, but fear stirs when he opens the door on the Cabin's incense-choked air. Philip Stone is already there, brooding. He observes with a ruthless eye the regulars, from sleazy barmaid Hannah Fisher to old crone Cynthia Morgan. I'm not sure if I'd classify this as a horror novel. It's more of a dark mystery thriller with broken people in a broken town forced to come to a reckoning by Mother Nature trapping them at the titular Cabin. The characters are the deepest I've ever listened to, the characters live and breathe and are relatable and loathsome and just broken. It's fantastic and dark and chilling. The narration is great as well as the narrator helps breathe life into this ensemble even while you might not want to uncover all the stones they're turning over. I received the review code for this audiobook at my request and am voluntarily leaving this honest review. One of the most amazing audiobooks I've ever listened to. What can I say without giving any spoilers? The author creates a story and unfold it bit by bit while painting a picture that comes alive as you watch. This type of writing is so much more precise and artistic than many of today's author's who put out garbage that somehow becomes best sellers. This is the first solid example of a good book that I've found that I can reference when I complain to my friends (who don't read) that I don't like Stephen King because his writing is so lazy. I would encourage anyone to read this unless all you're into is fast paced action. The story is beautifully told, but it builds slowly. Narrator Kristin Price is truely a master at her craft. I have heard few others who could compliment a story so well. I will be looking into her other works in the future hoping to find other great works.